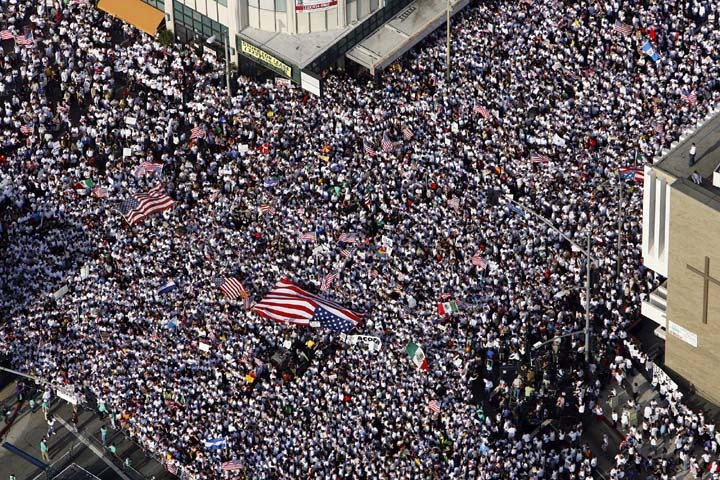 Illegals rally in Los Angeles demanding amnesty. Senator Jeff Sessions (R-AL) says Obama is preparing to effectively “nullify” the immigration laws in the US by granting amnesty to 5-6 million illegals this fall. The activists met privately with the President and his aides June 30 at the White House, and say in that meeting Obama suggested he will act before the November midterm elections. They hope his decision will offer relief to a significant percentage of the estimated 11.7 million undocumented immigrants in the U.S. “He seems resolute that he’s going to go big and go soon,” says Frank Sharry, executive director of the pro-reform group America’s Voice. Senator Jeff Sessions (R-AL) is putting a call out to the American people: We need help to kill President Barack Obama’s plans to grant executive amnesty to millions of illegal aliens. ** Here is the Congressional directory for Congress and the US Sentate.